Seeking medical treatment for a serious health issue is not always as easy as going to the family doctor and undergoing an examination. Instead, most patients who suffer from serious medical conditions are required to see specialists, visit testing facilities and labs, or receive treatment at other facilities. For this reason, when providing care, medical facilities are required to ensure that patients who need to seek treatment elsewhere, are transferred to specific facilities in a timely and efficient manner. Although most hospitals and care centers take great care to ensure that these steps are taken, many fail to fulfill this duty, which can result in serious injuries and complications from the delay. When a failure to transfer a patient to a better-qualified facility results in a worsening of the patient’s condition or another injury, the at-fault individual or facility can be held liable for medical malpractice. While all hospitals have certain types of medical equipment, certain facilities and specialist labs are equipped with unique devices that are specifically designed to diagnose or treat certain types of illnesses. In these cases, a patient admitted to a local clinic or hospital will need to be transferred to a larger or more specialized facility with more resources. This transfer process can prove crucial to obtaining a diagnosis or providing life saving treatment, so a failure to make those transfers can have deadly consequences. Failing to transfer a patient to a facility that is essential to treatment can not always be laid at the feet of a negligent physician. In some cases, a facility may lack enough ambulances to transport a patient, or the other facility may simply be too far away. 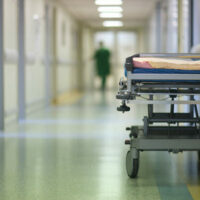 However, in most cases, a wrong or delayed transfer can be linked to a healthcare provider’s negligence. For instance, in one case, a patient was granted a $23 million award because she was not transferred to a facility with specialized equipment, despite evidence that she was suffering from preeclampsia. Instead, her obstetrician referred the patient to a hospital that wasn’t qualified to provide the specific conditions required for a preterm birth. As a result, the patient’s baby suffered permanent brain damage during delivery. Failing to transfer a patient to another facility could also be the result of a physician’s failure to properly diagnose a patient. These misdiagnoses could be the result of a failure to recognize certain symptoms, a failure to take a proper patient history, or a failure to order adequate tests. Whatever the cause, misdiagnosis can result in a doctor failing to transfer a patient to a facility for additional treatment, which in turn, can result in devastating injuries. If you or a loved one suffered an injury because a healthcare provider failed to transfer you to another medical facility, you could be eligible for compensation. To learn more about pursuing a medical malpractice claim against the individual or entity who caused your own injury, please contact one of the dedicated Fort Lauderdale medical malpractice lawyers at Boone & Davis by calling 954-566-9919 today.